Our sites are now closed until 1st April (or the nearest advertised open day) for conservation work, deep cleaning, redisplay and planning activities. From February however we are open for pre-booked and regular community groups and schools, February half-term and special events and activities (see below). Staff are available on site to answer any queries. Scroll down the page to find out what activities are available at our different sites. Please note that our sites are open at advertised times below and also for general casual visitors. For these general opening hours click the links to the site page. We will be updating our events throughout the year for the coming season so keep coming back to see what's on next. Entrance to our sites is FREE unless an admission charge is stated for specific activities and there is no need to book unless it states booking is required. To book, phone the relevant site or pop in - cash or cheque only. Please note that staff are not available to take phone calls every day. Please avoid calling on Mondays. We are unable to accommodate pushchairs inside our buildings due to the size and nature of our sites. Assistance dogs only on site please. Behind the scenes insight, cracking history information and lots of interesting stuff in our Sandwell Museums blog. Find out more about what goes on behind the closed doors at sandwell Museums. Our site is open at advertised times below and during our general opening hours found on the Oak House page, staff are available at other times to take your call but please avoid calling on Mondays. Oak House is open April-September, Tuesdays, Wednesdays, Thursdays and Sundays 1pm-4pm (Site, visitor centre, playground and Old barn opens 1pm and the house opens at 2pm) and October and November Tues, Weds and Thurs 1pm-4pm (Site, visitor centre, old barn and playground open at 1pm, house opens at 2pm). Entrance Free. We also have a lively programme of Christmas activities in December. Open at other times for special events and activities throughout the year as advertised below. Sundays at Oak House- Visit on Sundays from April to the end of September 2pm-5pm (last admission 4:30pm). enjoy our playground for young visitors or have a cuppa in the vinery, discover the story of the Turton family and explore this fascinating 17th century building. Some Sundays you may even find the master or mistress of the house, learn some 17th century games, try your hand at quill pen writing or meet a servant in the kitchen. Springtime Fun Day: Tuesday 16, April, 12pm-4pm, Ron Popple will be here in the Oak House Barns with a balloon disco! – 50p entry – free balloon animal for every child. The Oak House will be open, and you can help the servant make pomanders in the kitchen. Master Turton will be here to show you how to play some of our games in the parlour. There will be quizzes and trails around the house and grounds. The tea room will open courtesy of the Friends of the Oak House. Green Man Family Fun Day: Sunday 12, May, 12pm-5pm We are banishing the winter and welcoming spring at the Oak House this Sunday with our third annual green man celebration. Enjoy historical activities in the house and our wandering musical minstrel and mummers play. See the blacksmith demonstrating nail making. Morris Dancers will be performing throughout the day and we’ll have live music from Dr Greenwood on the terrace. The RSPB will be here with craft activities and there will be a bouncy castle in the grounds. The tea room will be open and Cocktails2U will be here. Other activities tbc. Gardening Group - Join our volunteer group and help us to garden the grounds for wildlife and in a 1600s style removing inappropriate planting and planting plants, herbs and seeds you may have found around Oak House in the 1600s. Tuesdays 10am-1pm. Nifty Knitters, knitting group 11am-1pm £1 - Every Friday - Come along bring along your knitting or other craft activity of your choice, get advice off other group members and have a natter. Everyone is welcome. Find out about general opening times, facilities, directions and other information about Oak House Museum. Spring into Go-Play: Thurs 18th April, 11am-3pm. Go play will be at the museum so come along and enjoy free arts and crafts and activities with us. Easter Crafts & Trails: Sunday 21 April 2-4pm- Easter Crafts & trails. Small charge for craft activities 50p-£2.50 depending on item made. Easter fun at Haden Hill House: Monday 22 April 12-4pm - Celebrate Easter with children's entertainer Ron Popple, egg rolling and Easter egg hunts & more. Recycled musical instruments fun: Thurs 25 April 11am-3pm- Drop in and make a musical instrument out of our recycled material with our music man, Andy. £1 per instrument made. “Silly Selfies”: Friday 26 April 11am-3pm- Crazy craft workshop using lots of recycled materials to create your own unique portrait. £2 to take part. Art showcase Sat 27 & Sun 28 April 2pm-5pm. The Midland Painting group return with an exhibition at the house. But this weekend we'll be showcasing some more of their work and members of the group will be here for you to talk to and to show you their techniques and how they work. There will be some arty activities for younger visitors too. 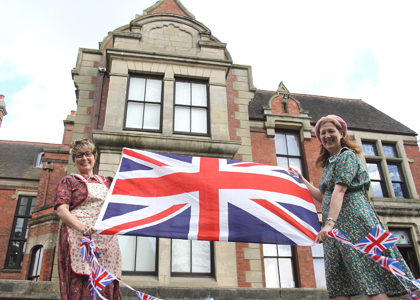 The Fabulous 40s: Monday 6 May, 12-4pm: Enjoy our World War II event with the “Forever 40s” re-enactment group, live music from The Steve King Big Band, uniform displays, sample wartime food, children’s entertainment and more. It’s fun for all the family. Book Sale: Sat 18 & Sun 19 May 2pm-4.30pm- Grab a bargain at our used book sale, run by The Friends of Haden Hill Estate. Natty Knitters: 10.30am-12.30 join our knitting group every Wednesday from February onwards where you can enjoy a natter & a cup of tea, bring your own knitting or craft - £1 per person. Find out about general opening times, facilities, directions and other information about Haden Hill House and Old Hall. Our site open at advertised times, staff are available at other times to take your call. The Manor House is open for advertised events and activities and weekend guided tours as advertised below. It is not open at other times apart from for pre-booked groups. NB: Seeing the whole building: Access to the whole building is sometimes not possible on event and activity days - look out for our free guided tours or self guided tours which will be advertised below if you would like to see as much of the house as possible and learn more about the history. However groups can book private guided tours with the site which attracts a cost. Assistance dogs only on site. Please wear sensible shoes, preferably flat or low heels. Hoppy Easter Crafts: Monday 15 April, 11am-3pm Why not get crafty and hop along to make some fantastic Easter crafts with us, or maybe even decorate an egg to take home! There will also be quizzes and trails to take part in for fun! Easter EGGstravaganza: Wednesday 17 April, 11am-3pm There’s going to be a ‘cracking’ Easter egg hunt and you’re invited! Spend the afternoon egg hunting, making chocolate treats and creating ‘eggstraordinary’ Easter crafts. £2.00 per hunt pack, other craft and activity prices vary. Robin Hood Adventure Day: Wednesday 24 April, 11am-3pm. Join Robin Hood and his band of Merry Men in the grounds for an afternoon of legendary adventure! There will be archery contests, a school of knights and princesses, birds of prey, flower crown making, and much more! 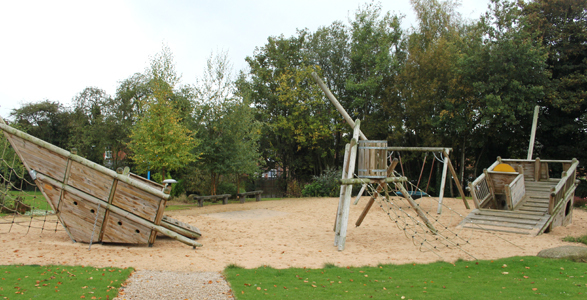 Entrance is 50p per person to include a trail pack per child, activity prices will vary. Mabel’s Vintage Fair: Sunday 19 May, 11am-4pm Visit the Manor House and grounds for a selection of handpicked vintage stalls to fulfil all of your retro needs! This event is hosted by Mabel’s Vintage Fairs. Shakespeare in Sandwell: 27 May evening - The festival players return once more to perform the Bard's work out in the grounds of the Manor House. This year the play is Much Ado about Nothing. Call 0121 588 5985 nearer the time for ticket prices and information. bring youyr own seating and a picnic! Garden Maintenance Group: The 1st Wednesday of every month starting April, 10am-1pm, Could you spare a few hours a month towards the upkeep of the Manor House grounds? Our 13th Century grounds require on-going care to keep them at a high standard so they can be enjoyed by all of our many visitors, and we need your help to do this! Come and help and become part of a passionate and friendly team! All basic tools will be provided as well as light refreshments. Areas of maintenance will include: - The Moat - Car Park, - Pathways - Herb Garden, Call us on 0121 588 2985 to register your interest. Happy Crafters: Every Tuesday from April, 10am-1pm- The Manor House Museum, Are you a crafty person who loves meeting new people? Are you a sewer, a knitter or an embroiderer, a felter, or general crafter? Perhaps you make jewellery, enjoy felting or simply appreciate a good scrapbook. You've heard of knitter natter groups well this is craft and chatter! Whatever your talent, sit within our social circle and become a Happy Crafter at The Manor House Museum, getting together with likeminded people, completing activities you’ll love! £1.00 per person, includes light refreshments. This is a self-led community group and all materials and equipment should be provided by yourself. A small amount of sewing machines will be available from us on site.Call us on 0121 588 2985 to register your interest. Find out about general opening times, facilities and other information about the Manor House Museum. After we had a flood at the end of October after a severe storm we are busy re-decorating, cleaning, tidying and re-displaying the museum ready for a brand new season in April. We are really excited about opening the museum once again. From the beginning of April, Wednesbury Museum will be open on Wednesdays and Thursdays 11am-4pm and on Saturdays 2pm-5pm, Entrance is Free. Staff are available Tuesday-Thursday to take your call and answer any queries. An Indian Spring family fun - Thursday 18 April & Wednesday 24 April. Come along and join us here at Wednesbury Museum and Art Gallery for a loud, fun and exciting day of Bhangra Dance and Dhol Drumming. Workshops run throughout the day come and have ago, learn and have fun at the galley.s Indian Spring extravaganza. Easter Egg Trail Saturday 20 April 2pm-4:30pm - have a go at our Easter egg trail and find the clues to win a small Easter egg 50p. Also ahve a go at our Easter craft activities. Spring into Go-Play - Thursday 25 April 11am-3pm. Come and join us here at the gallery, where Go Play will be with us bringing with them a range of games, crafts and activities free. Take part in our Indian Spring trail and quiz and win a prize. So come along between 11am and 3pm and take part and have fun. Ranbir Kaur: A Journey Through Colours: Spring temporary exhibition April 3 – June 20 – Come and join us in celebrating 30 years of creativity with Ranbir Kaur, international rangoli, Indian Textile and Asian Craft artist. Through this exhibition we learn about Ranbir’s extraordinary life, and see some of her intricate artwork on display. Over the past 30 years, since taking up residency in the UK, Ranbir has worked as an artist and teacher. Her main aim has been to raise the profile of the arts and crafts of Asian Women, as they are an integral part of daily life for those women throughout the world. All the Fun of the Fair – Arts Trail 2019. The Sandwell’s “All the Fun of the Fair” 2019 arts trail is open to all amateur artists, Schools and community groups. The theme for this year’s arts trail is “All the Fun of the Fair”. We are looking for your creative interpretations of fun fairs, circuses, carnivals, and everything in-between. Do you have a photograph of a circus or fun fair? Do you have painting of a circus performer or showman? We want you to submit your pieces so that we can exhibit your work across a number of our museum sites throughout the summer, so that the people of Sandwell can vote for their favourite piece of artwork.. Contact Alex Howell alex_Howell@sandwell.gov.uk 0121 556 0683 for more information. Community Painting Groups - Our three art groups meet on a Tuesday, Wednesday or Thursday at the museum from 10am and a member of museum staff facilitates the groups. These aren't taught groups but our knowledgeable member of staff is on hand to help and give advice. There is also the opportunity to go on trips or try your hand at new artistic techniques or styles. call 0121 556 0683 for details and information. Tuesday Groups - Tuesdays are our community groups days - call the museum to find out more. Find out about general opening times, facilities and other information about Wednesbury Museum. 1st – 29 April: Lee Moore: will be presenting a showcase a Sandwell Showcase: A collection of photographs and images of the Sandwell area. 1st – 30 May: Azeem Akhtar – “Creams”: Azeem will be presenting a range of pieces from the Creams Studio. This pop-up pop-art exhibition is bright colourful and contains some familiar pop culture characters. 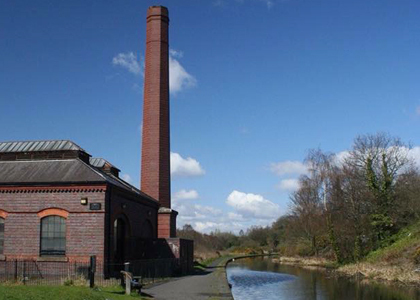 Housed in the New Smethwick Pumping Station the canal museum tells the story of the Galton Valley canal system and the people that lived and worked on it. Entry to the museum is free and there are light refreshments available. Sorry there are no toilet facilities. Manned by our brilliant Friends group. Entrance is FREE - Call 0121 556 0683 for more information. August 10, September 14 and 21 (extra guided tour at 10am), October 12. Alternatively you can book in a group visit for a small charge per person by calling 0121 553 0759. You can also 'join us' and discover there are 'More to Museums' - find out what regular groups or activities adults can get involved with from gardening or knitting, fund raising, volunteering or dressing up!